Adam is a Partner in the sports and gambling consultancy, Regulus Partners, advising a range of clients in those industries on integrity, governance, regulation and data exploitation. 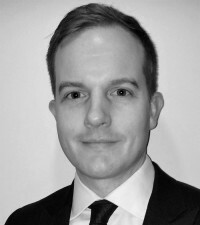 Adam began his career as a solicitor in DLA Piper’s sports and media law practice, before moving to an in-house role at the British Horseracing Authority ("BHA") in 2009. During his eight-year career at the BHA, Adam spent four years on the BHA executive management team in the role of Director of Integrity, Legal, and Risk. Adam is a widely-recognised expert in the field of sports integrity, who has been a member of the UK Sports Betting Group, the UK Sports Betting Integrity Forum, a United Nations Expert Working Group on the Investigation of Match-Fixing, and he acted as a 2015 Rugby World Cup Integrity Officer.